“We are strangers because we do not know each other; if you take me with you, we will get to know each other and will be strangers no longer!” Zorba assures Niko that risks are meant to be taken, experiences meant to be seized and savored. The sound of a bouzouki and the sight of a pretty girl are as exciting to him now as they were “The First Time” he experienced either. Niko, won over, accepts Zorba’s offer, and they go off together. In the village on Crete the people eagerly anticipate the reopening of the mine and the arrival of its new owner. Young Pavli, however, is interested only in the beautiful but elusive Widow, who is indifferent to his attentions. Niko and Zorba arrive, inquiring about lodgings; not satisfied with various offers, they decide to move in with a French woman, Mme. Hortense, who lives at “The Top of the Hill.” Zorba wastes no time flirting with the aging but charming coquette. After a few drinks, she shares her memories of liaisons with four admirals – English, French, Russian and Italian – who were stationed in Crete during a revolutionary period – “No Boom Boom.” Seizing the romantic moment, Zorba whisks Hortense away to her room because, as he tells Niko, “she’s in the mood.” There they dance to her favorite music and enjoy the pleasures of love. The first day of work at the mine site is one of jubilation for the entire village – “Mine Song.” When the Widow, who has brought lunch for young Mimiko, is taunted by the men, Niko goes to her rescue. As she leaves, Zorba, sensing an attraction, encourages Niko to follow her. Cautious and shy, Niko hesitates. So, too, does the Widow – “The Butterfly.” In need of supplies from the mainland, Niko sends Zorba to Piraeus. “Goodbye, Canavaro,” Hortense sadly bids Zorba farewell. She is sure he will forget her. Several days later Niko receives a letter from Zorba, in which he describes the distractions he has encountered in Piraeus. He has little money left to buy supplies, since he has spent most of it (and all his time) on a “lady” he met at a pleasant cafe – “Grandpapa.” Pining for Zorba’s return, Hortense dreams of what life would be like if he came back with a wedding ring for her – “Only Love.” Niko is also reflective concerning his feelings for the Widow (“The Bend of the Road”) and finally resolves to go to her. It is night. As they embrace in the doorway of her house, they are seen by Pavli. Distraught, and taunted by the village men, the young boy runs away, only to meet a fatal accident. The dawn brings the discovery of Pavli’s body. In despair his father vows vengeance on the Widow, whom he holds responsible. As the huddled villagers quietly disperse, a somber mood settles over the town, and Act I draws to a close – “Only Love” (reprise). Act II brings a brighter morning and Zorba’s return to Crete. Awaiting him is Niko, angry that his money has been squandered. In retaliation, he has “read” Mme. Hortense a letter from Zorba implying that he intends to marry her. Although Zorba plies Hortense with other gifts, it is only a wedding ring that she wants. Reluctantly, Zorba agrees to the betrothal “just for a little while,” and they simulate the traditional ceremony – “Yassou.” After the celebration, Niko, a little drunk, is left alone, plagued by his confused feelings about the Widow. 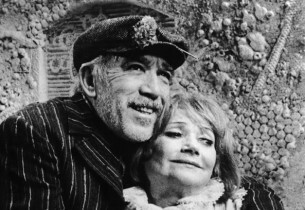 Soon Zorba finds him and offers his simple wisdom – “Woman.” Niko considers Zorba’s advice, as his confidence grows, while the Widow, in her home, contemplates her loneliness and how Niko has begun to affect her – “Why Can’t I Speak?”/”That’s A Beginning.” Their joy is abruptly ended by a confrontation in the church square between Pavli’s relatives and the Widow. They murder her. The next morning the long-awaited official opening of the mine is celebrated. Then Zorba goes to dynamite a path. Anxiously, the villagers wait as one explosion follows another. There is a tense moment when Zorba fails to come out. He finally emerges only to report the devastating news that the mine is useless. Niko’s despair is made worse as he observes Zorba’s friendly behavior toward the Widow’s murderers. 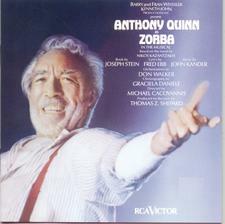 For Zorba, however, death is a part of life we must accept – it is not for us to judge one another. 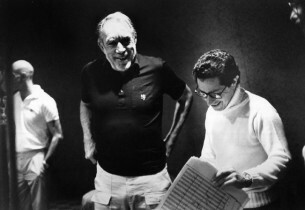 Hearing that Hortense is dying, Zorba and Niko rush to be with her. Already the scavenging women of the village have gathered at her house to await her death so they can ransack her possessions – “The Crow.” With Zorba comforting her, Hortense imagines herself a young girl again . . . and drifts off – “Happy Birthday.” With nothing to keep them in Crete any longer, Niko and Zorba prepare to leave. They exchange good-byes, each a little richer from having known the other. Niko will return to America, and Zorba to wherever his feet are pointing. As he explains, “I have nothing. I want nothing. I need nothing.” – “I Am Free”/”Life Is” (reprise).